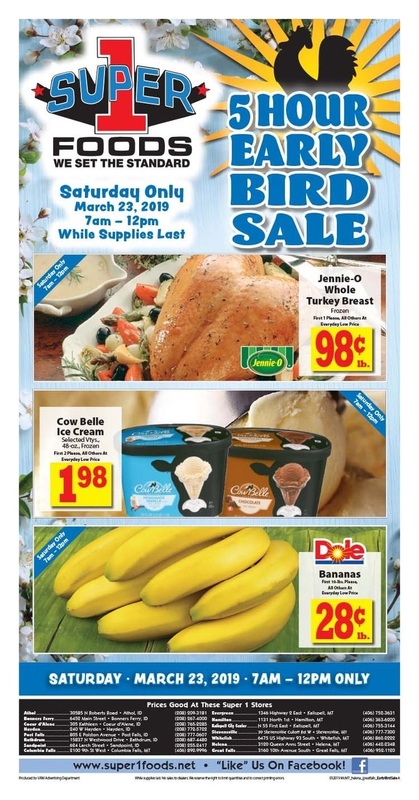 Get your local ⭐ Super 1 Foods Weekly Ad April 10 - 16, 2019 and save with coupons and the latest deals. 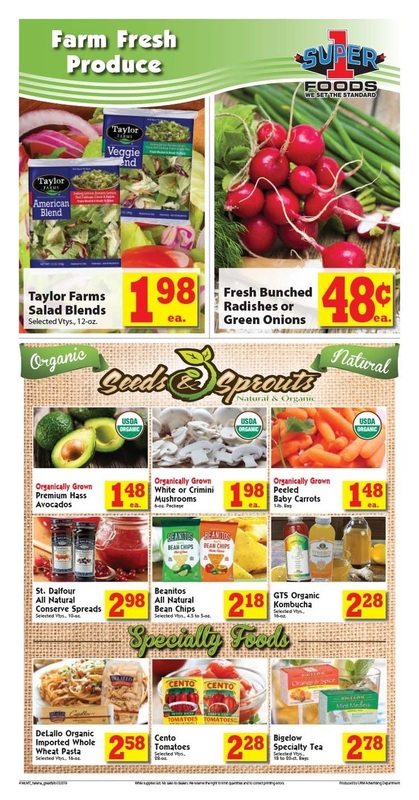 Super 1 Foods Circulars is currently available and posted on this page. 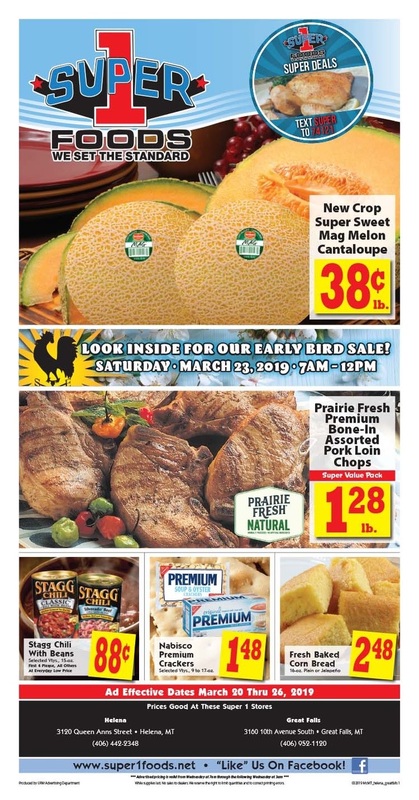 Find great deals with the ✅ Super 1 Ad 4/10/19 - 4/16/19 and save on grocery, meat & seafood, produce, deli, bakery, health & beauty, baby care, home & garden, also other departments. 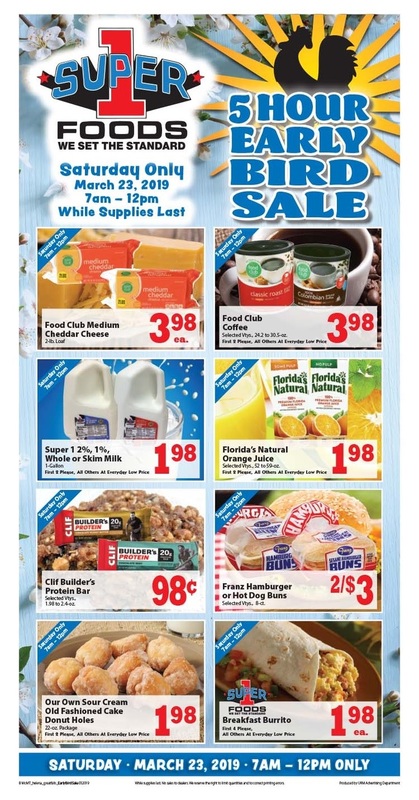 Are you looking for even more ways to save at Super 1 Foods? Don't forget to check special offers and In-Store Savings like Super Shockers, Wall of Values, In-Store Coupons and Brookshire's brand products. You can save even more with Super 1 Foods monthly in-store coupons. But, offers are only valid while the coupons are on the shelf, so when they are gone – they're gone. 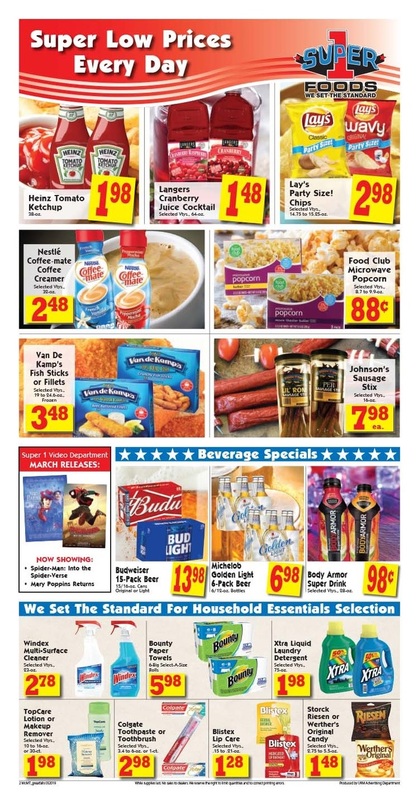 Check out the latest Super 1 Foods Ad for this week. 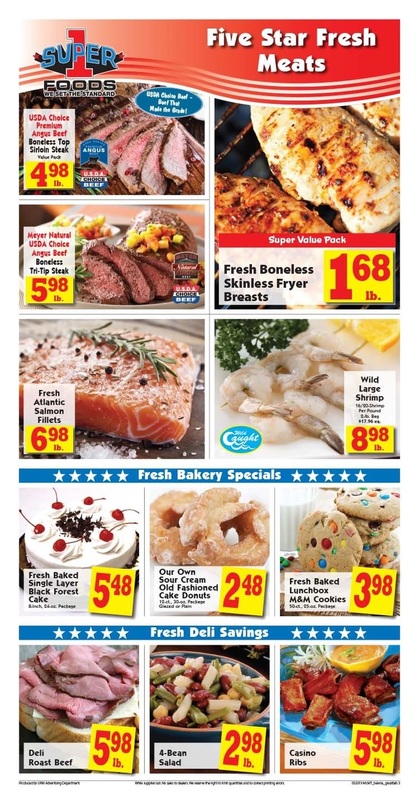 Super 1 Foods sales ad valid for Tyler TX, Spokane, Colville WA, Monroe LA, Crowley LA, Marshall TX, Hayden ID, Ruston LA and other locations. Don't forget to save the local sales ads before go ahead to the store and bookmark this page in your browser to get upcoming Super 1 Foods Weekly Ad. For more details about store locations, phone number, open hours, special offers and other information, you can visit the official site at super1foods.com. Thank you for reading, please share this post on your social media account to support this blog.